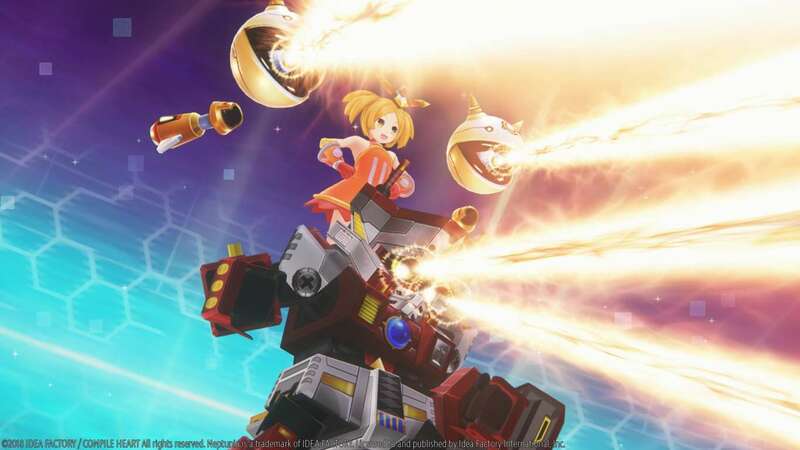 Today Idea Factory International has released some screenshots of Megadimension Neptunia VIIR. These show off the Golden Third and Giant CPU battles. The new engine has really made the graphics look better. After defeating the CPUs, the Golden Third has assumed control of Gamindustri. The Goddesses find themselves in quite a Jam as everyone has forgotten about them in this strange dimension. The ladies will not only have to win back their nations, but fight off giant versions of themselves as well. The Giant White Heart is still flat, guess Blanc really can’t catch a break here! This enhanced version of 2016’s Megadimension Neptunia™ VII features smoother graphics courtesy of a new engine, a revamped battle system, and a whole new VR experience. Now, their dimensions and yours are connected! Hang out one-on-one with each of the Gamindustri Goddesses, listen to their conversations, and watch as the Goddesses react to you! Don’t have a PS VR Headset? Don’t worry! The PlayStation VR Headset is NOT required to play Megadimension Neptunia VIIR. Get in Tune with Neptune, Now in VR! – Enter the Player’s Room with the special VR mode to customize your room and hang out one-on-one with characters from the Neptunia series! The PlayStation®VR Headset can enhance the experience, but is not required. *The PlayStation VR Headset is NOT required. The game is out in North America on May 8, 2018 and in Europe on May 11, 2018.